These Wine Corks are BRAND NEW. 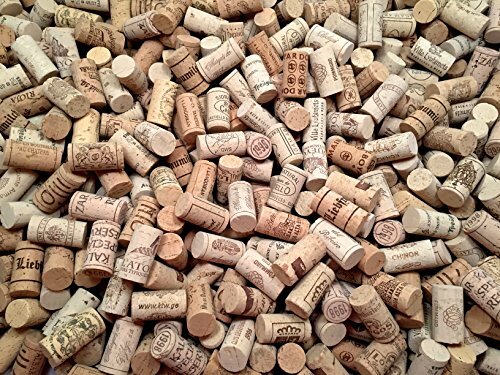 That guarantees that our wine corks are the most uniform, identically sized, prettiest, cleanest, and easiest wine corks to use in your craft projects! BRAND NEW, means NO corkscrew gouges blown-out splits, or warped shapes that can render a cork ugly and useless. Dollar for dollar, piece for piece, you get the best value with our wine corks - they're perfect everywhere it counts, yet also diversely unique to make your crafts their very best! Our BRAND NEW WINE CORKS come from so many wineries from around the world, you're guaranteed to have a wide variety of designs, names, and logos for every project you create! Why are BRAND NEW, WINERY-MARKED WINE CORKS impossible to find? Wineries have very exclusive manufacturing agreements. This means that special permissions must be granted in order to market and acquire their brands and logos on BRAND NEW WINE CORKS / CORK. We have worked painstakingly to bring you the benefits of our unique access to these Winery-Branded, NEW, PRINTED, 100% All-Natural, and hand-sorted wine corks. Never any synthetics or champagne corks in your purchase. Our Brand New Wine Corks come from a huge list of wineries worldwide giving you the best cork you can buy. Wine cork craft projects are countless. You can create trivets, place card holders, coasters, backsplash backgrounds, art pieces, home décor, bulletin boards, and endless possibilities more! All of our individually inspected corks are 100% usable and factory new. No WASTE and NO REJECTS! If you have any questions about this product by Corkshire Hathaway, contact us by completing and submitting the form below. If you are looking for a specif part number, please include it with your message.